RFID Bloggy'n Tips: Tree are lethal, especially in highly populated cities. That are why we need Tree Tagging! Tree are lethal, especially in highly populated cities. That are why we need Tree Tagging! Whenever there is a strong typhoon or heavy rainstorm, many trees would fall down as a natural process. But in highly populated cities such as Hong Kong, the falling trunks are highly lethal. The management of trees is a hot topic in Hong Kong; tree experts and inspection teams hit the road and look at the trees by naked eye; general public are encouraged to report the threatening trees. How to keep track on the record of trees? And how to report the location of tree? 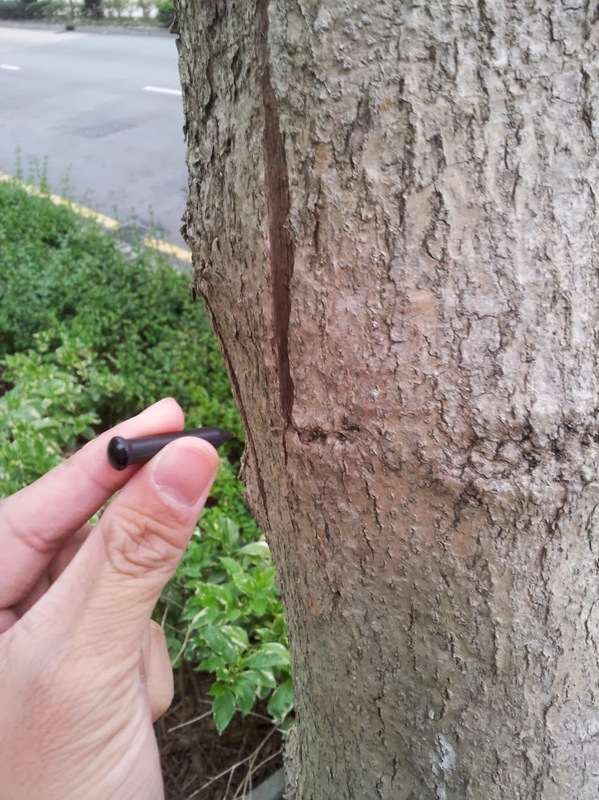 Here comes the solution: Tree Tagging by using RFID nail tag. We recommend using High frequency ISO15693 or so called NFC-V, with a appropriate smartphone APP, it enables us to get the tree information, including its identity, location and type. The firemen can find out the tree and remove it quickly! For tree expert team, just tap the tag with the RFID reader, they can get the details of health records. The tree tag is a High Frequency RFID tag and can still function when it is wet. It should be noted that the installation of tree tag requires professionals to make sure the tree tagging is safe and sound.